The latest Nintendo Switch update brings a video capture feature into the system. Can Super Mario Odyssey use this feature? Ahead of the release of Super Mario Odyssey, the latest Nintendo Switch Update already released. The Nintendo Switch update includes 12 new icons, save data transfers, a pre-purchase feature in the Nintendo eShop, and the much-awaited video capture feature. You can also post your videos on Facebook and Twitter through the Share feature. As of now, they only have selected games where you can use the video capture. These games are The Legend of Zelda: Breath of the Wild, Mario Kart 8 Deluxe, ARMS, and Splatoon 2. The fifth game to have this feature will be Super Mario Odyssey. Beside the video capture feature, Super Mario Odyssey also has a Snapshot Mode where you can capture photos or screenshots in the game. The Snapshot Mode does not only take simple and ordinary screenshots, but it can also make your shots become more exciting by adding several camera options and effects to your photos. Besides the camera movement features, you can also add some effects to your photo by applying different camera filters. You can make the photo black and white, or you can adjust the photo to make it fit on a smartphone screen. This feature is perfect for creating desktop wallpaper or mobile wallpaper. Additionally, you can blur the background as well if you want to focus on the center of the photo. Further, the photo can be shared with your friends if you want them to know how far you’ve gone in the game. Nintendo Switch system updates are available now and if you’re having problems with the latest updates in your Nintendo Switch feel free to visit this site. 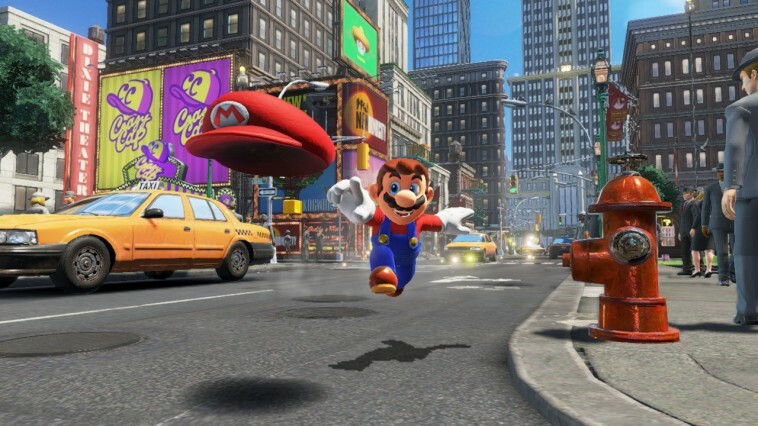 Is Odyssey Playable on the Nintendo Wii U?